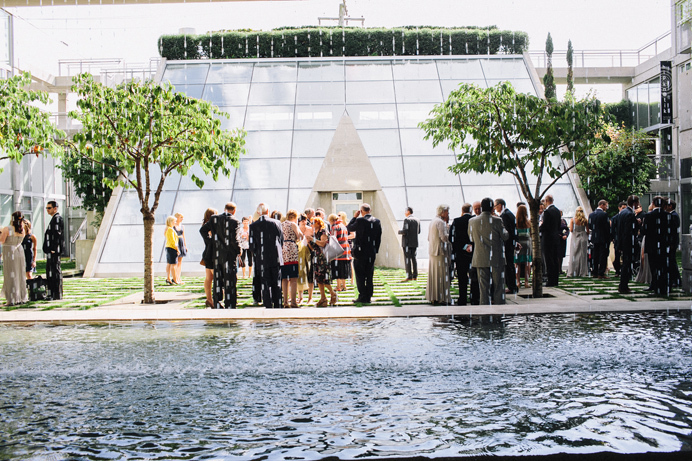 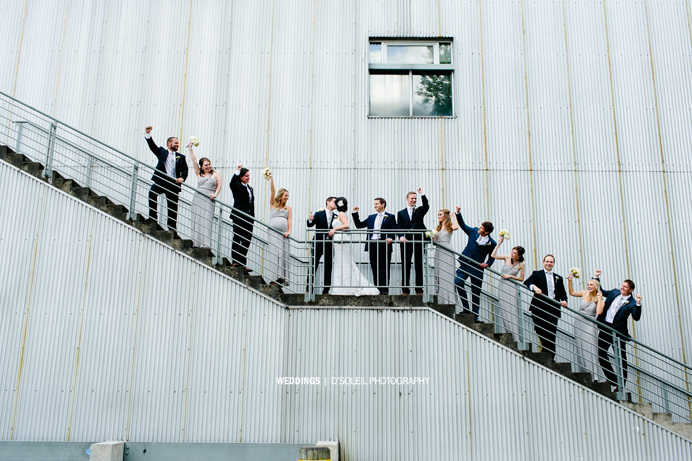 Ciara and Laurence put on a spectacular wedding this past summer. 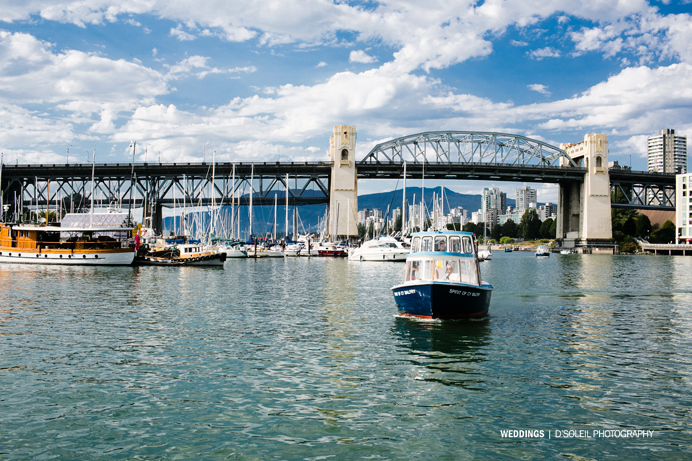 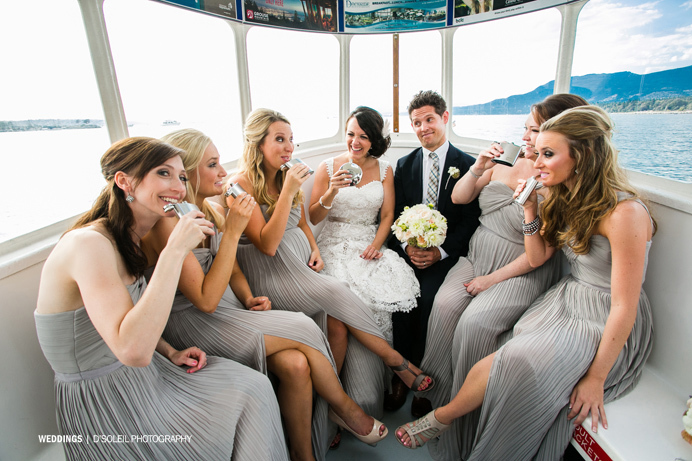 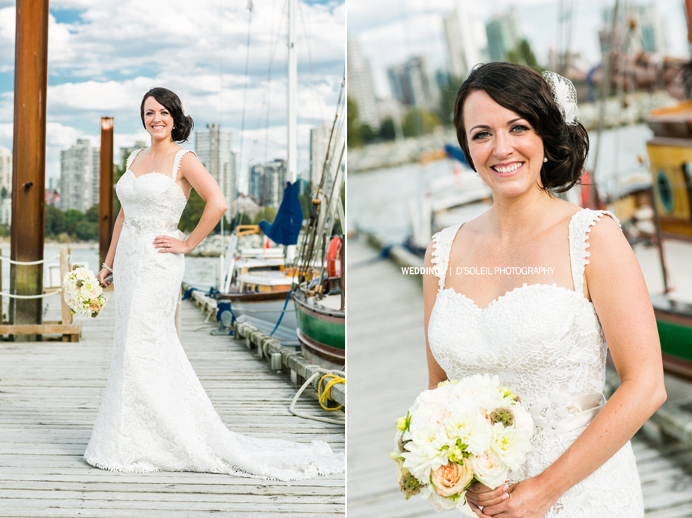 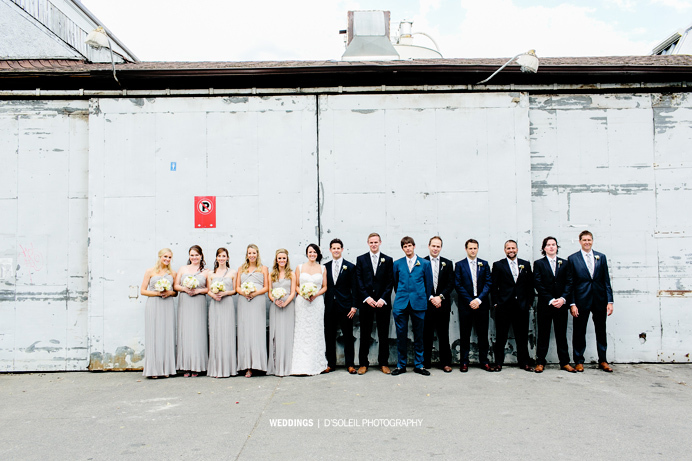 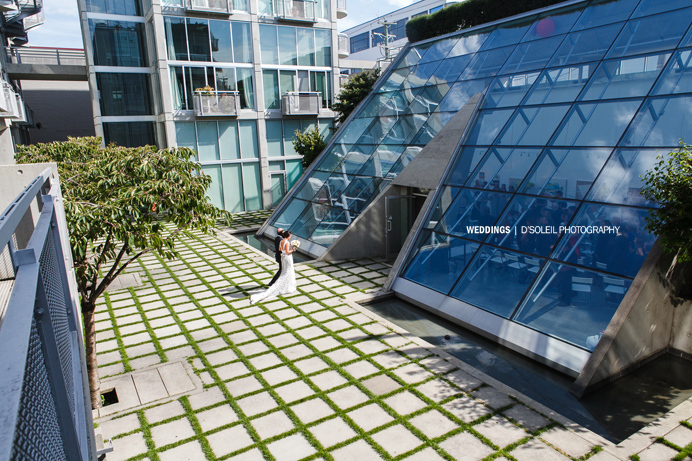 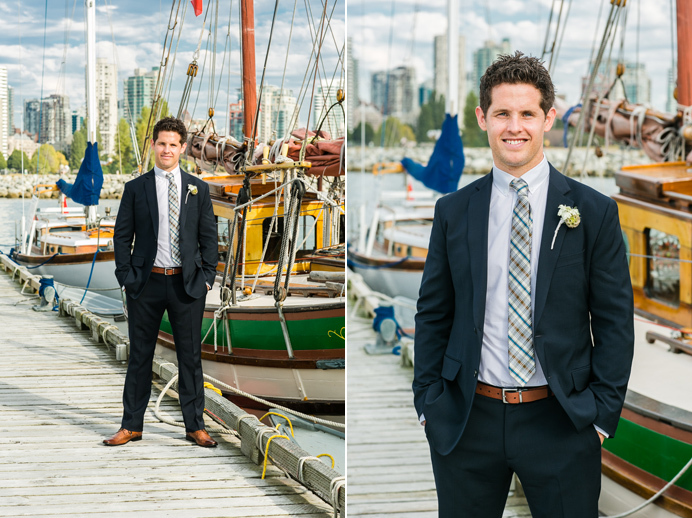 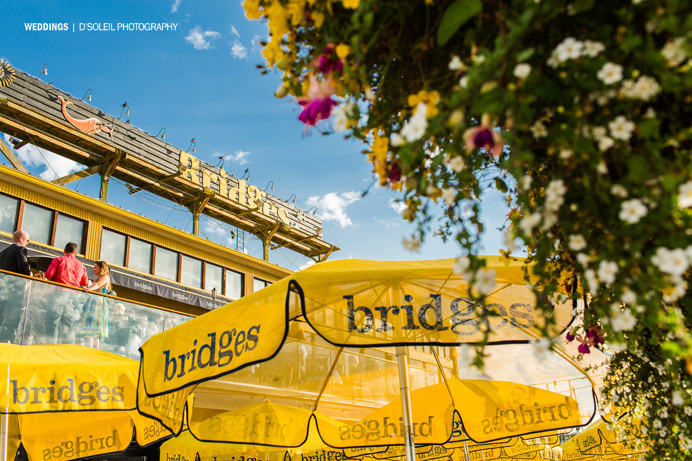 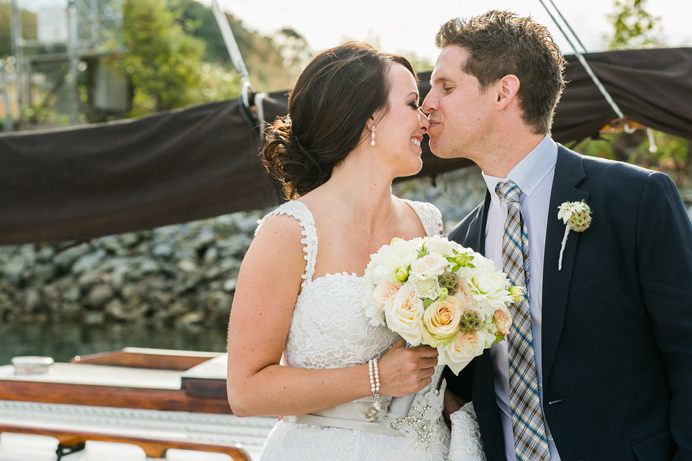 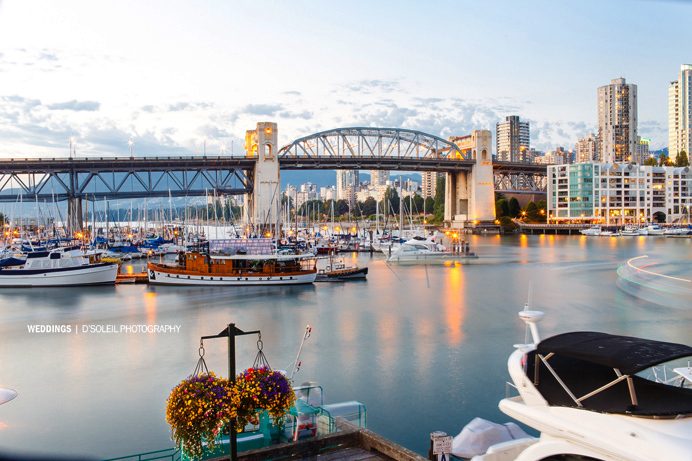 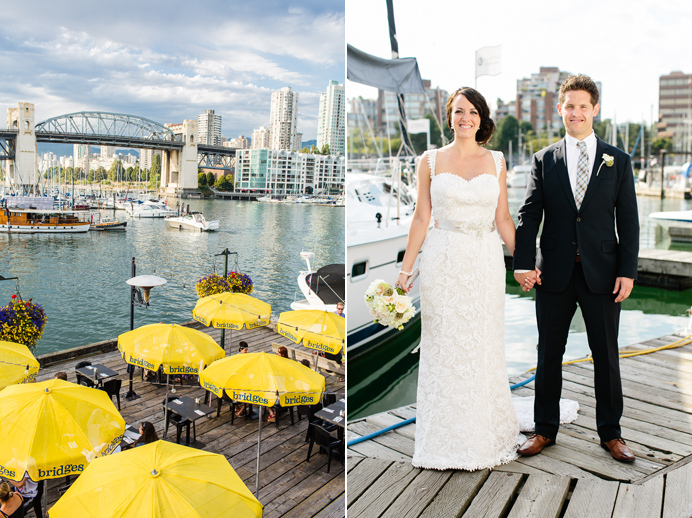 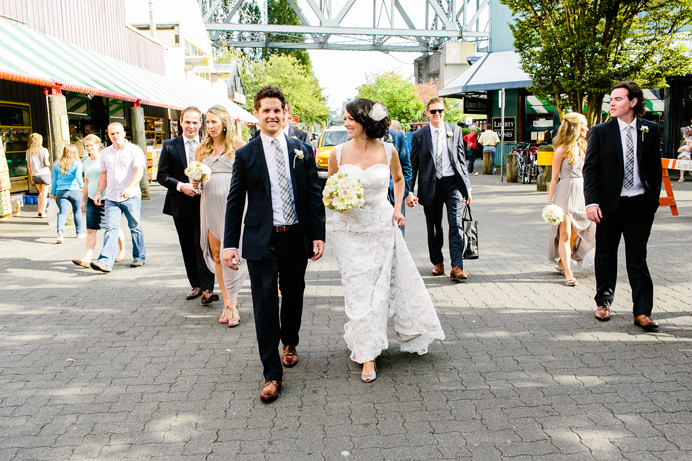 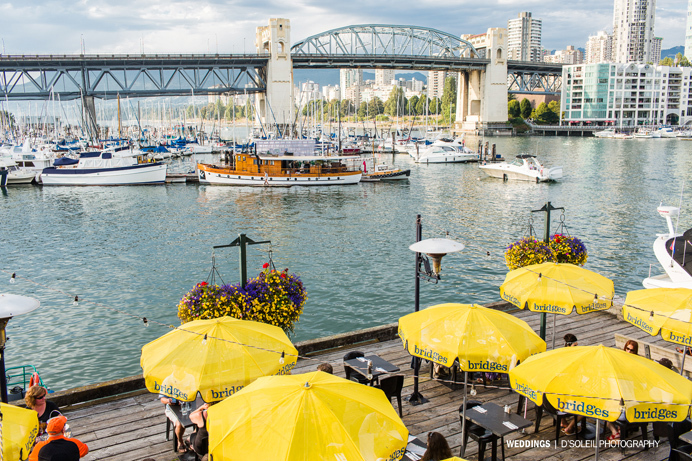 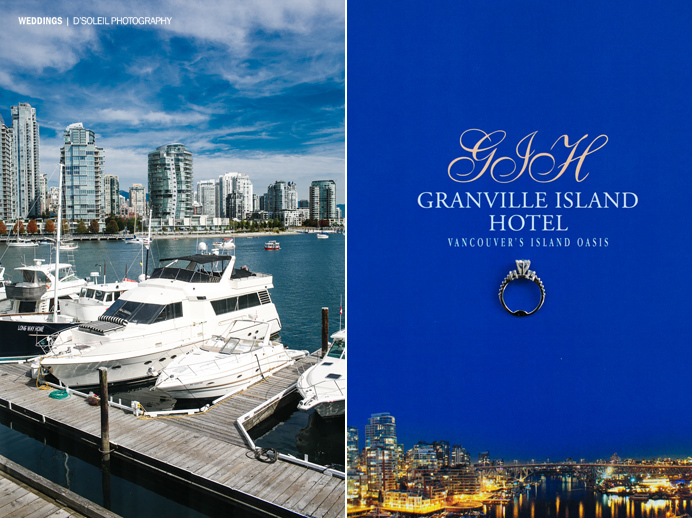 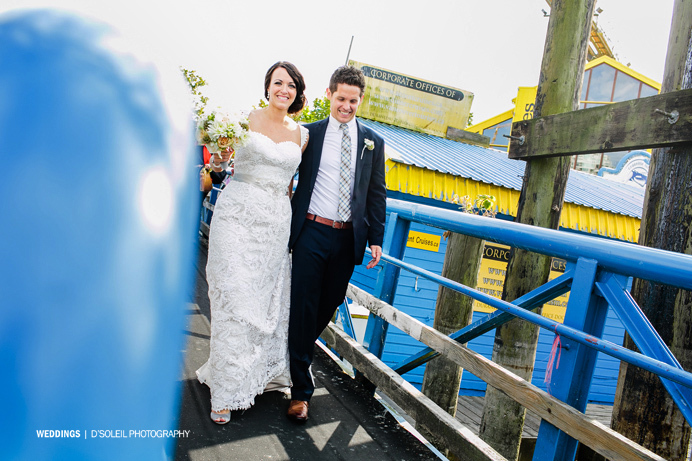 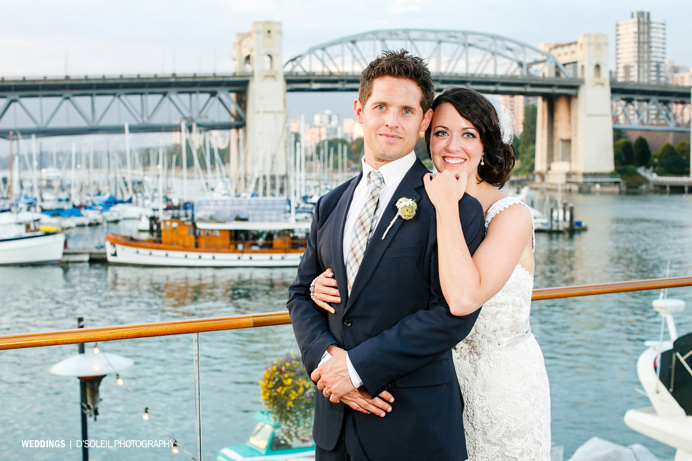 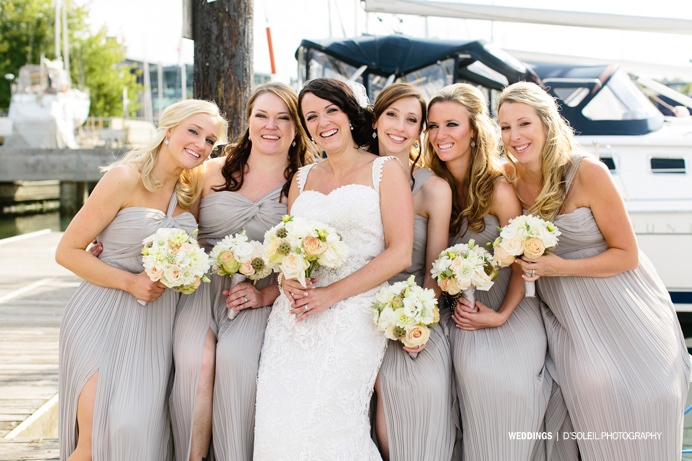 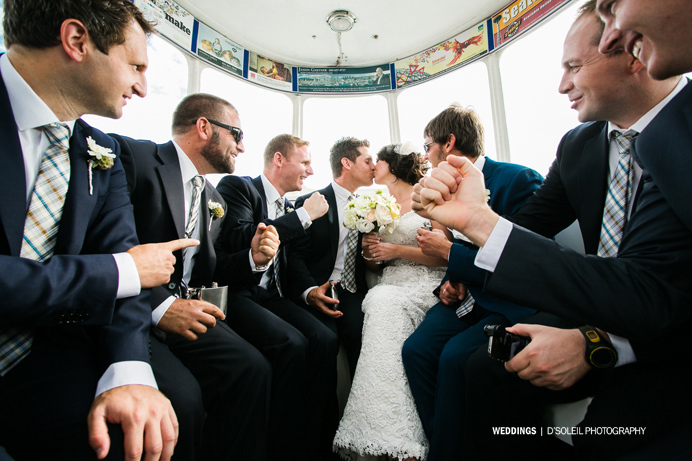 They recently moved from the UK to Vancouver and celebrated their wedding day around Granville Island. 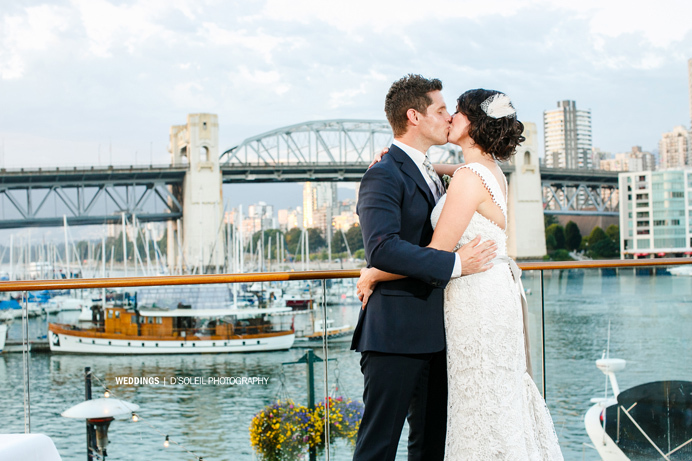 First, with them both getting ready at the Granville Island Hotel, then a beautiful wedding ceremony at the Waterfall Building in Vancouver, with wedding officiant Marilyn Knipp, then photos around False Creek, before topping off their incredible day at Bridge Restaurant with a modern vintage-inspired travel themed decor, and one of the most beautiful candy and treat tables I’ve seen. 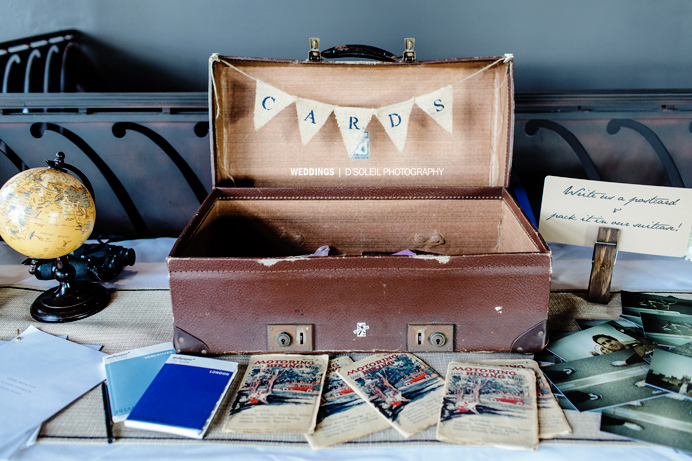 It was a completely relaxed and family centred wedding day, with a large wedding party, and of course creative choices in décor, Ciara’s vintage-style wedding gown, tailored suits, and elegant bridesmaid dresses. 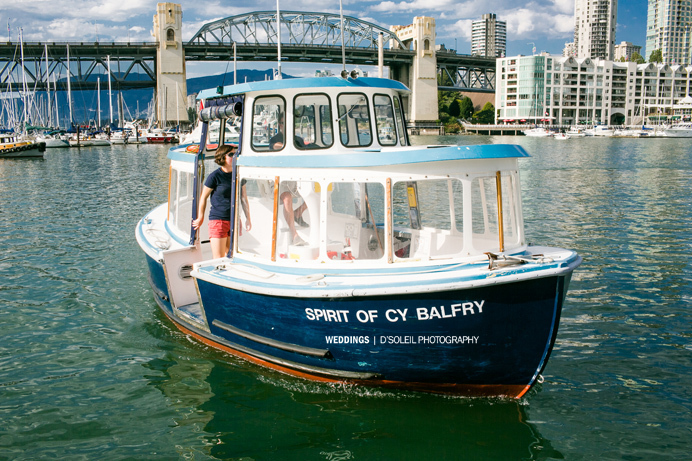 I think I speak for Alexa as well when I say that our favourite part of the day was motoring around False Creek for photos in a False Creek Ferry. 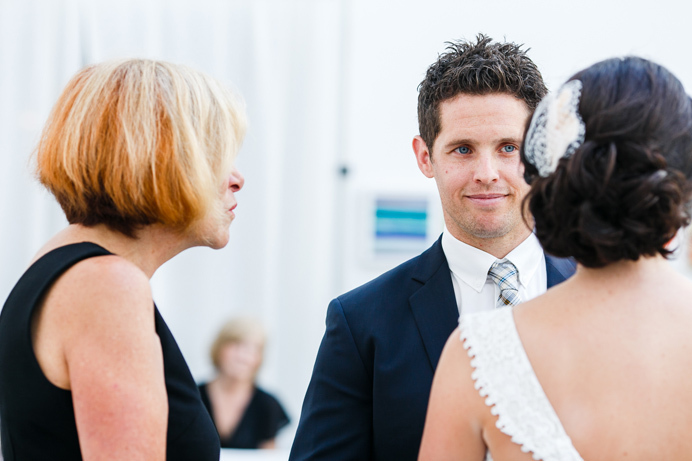 A close second would of course be the Irish Dance performance Ciara led at the end of the evening that wowed all their guests. 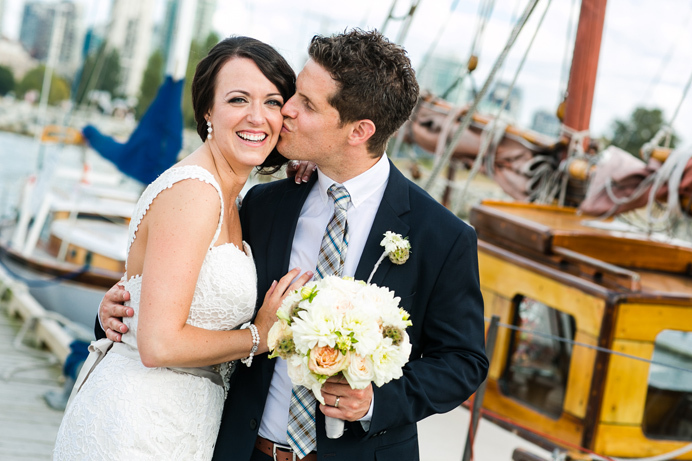 Congratulations Ciara and Laurence. 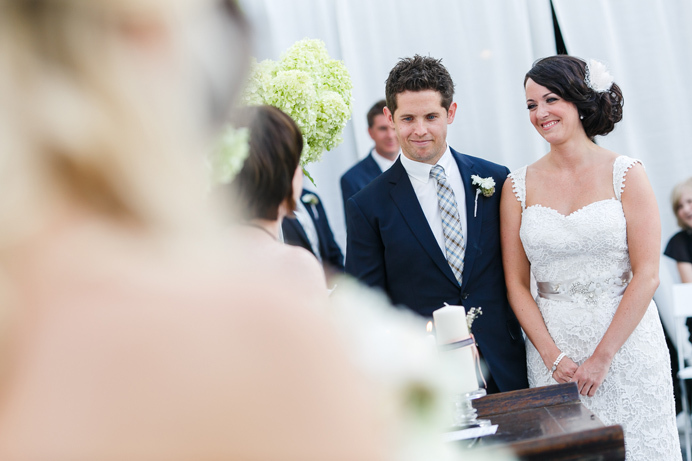 Thank you for making us a part of such a special day for you both. 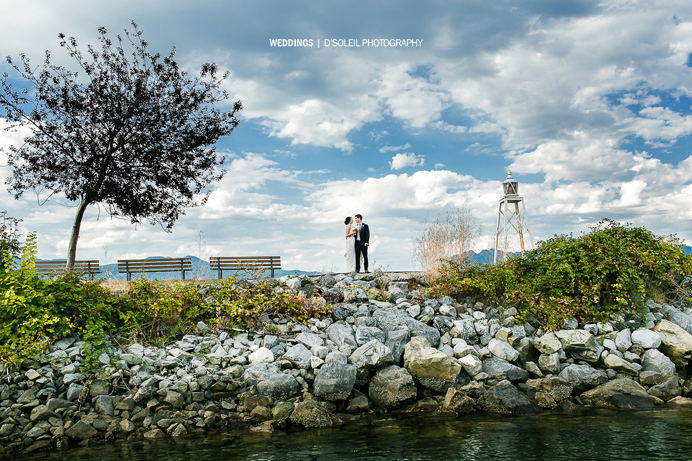 It was a pleasure having both you and Alexa there with us to share, and capture the day! 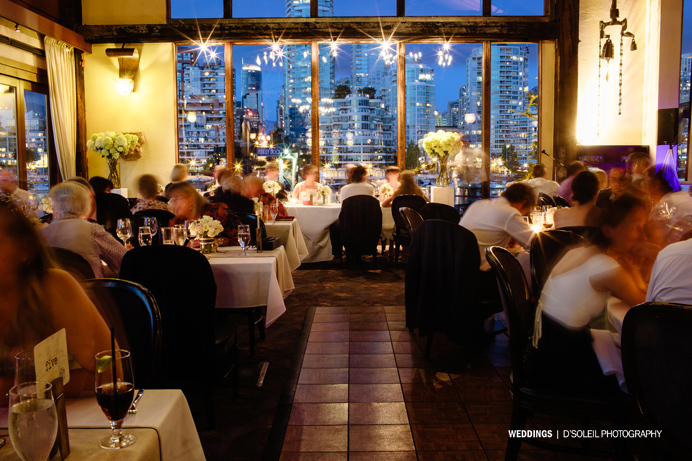 We can't recommend you guys enough! 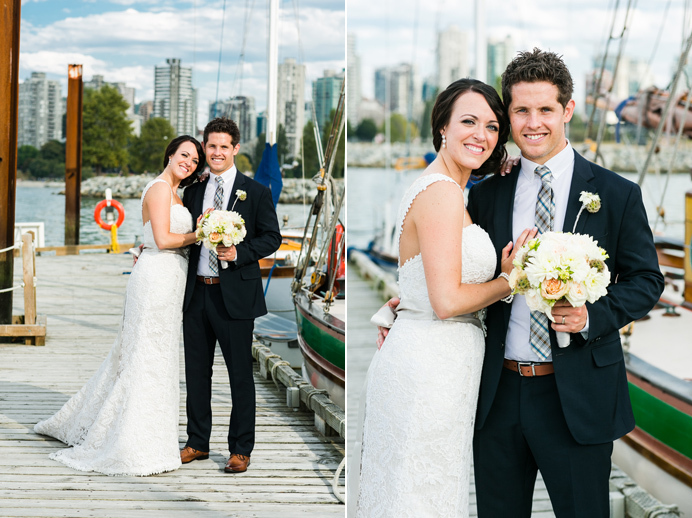 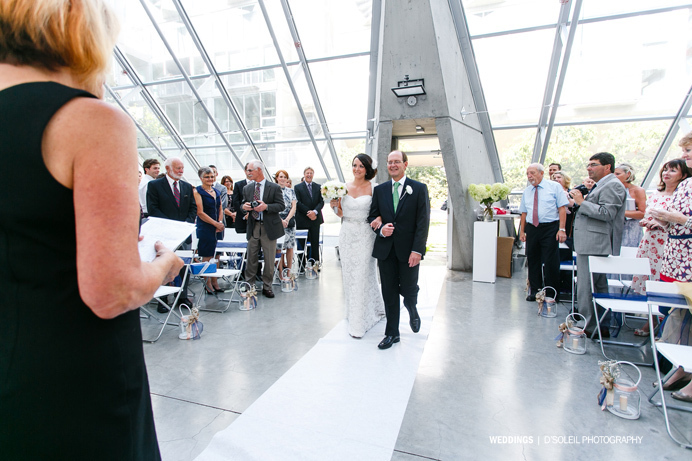 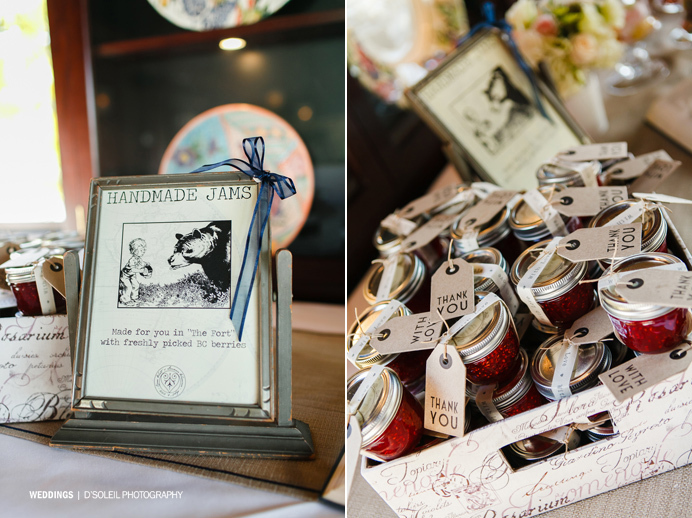 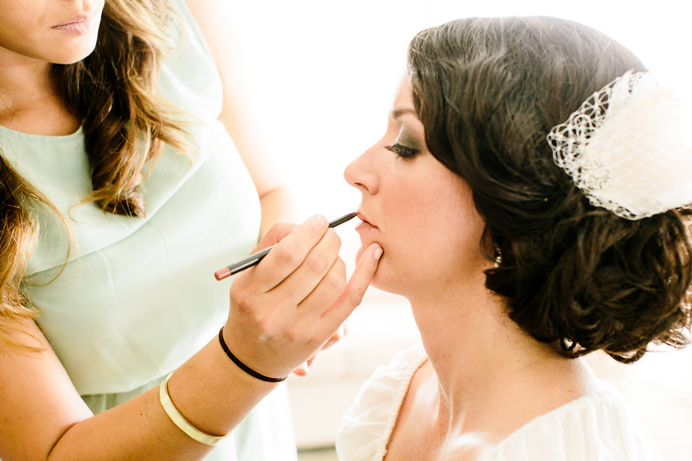 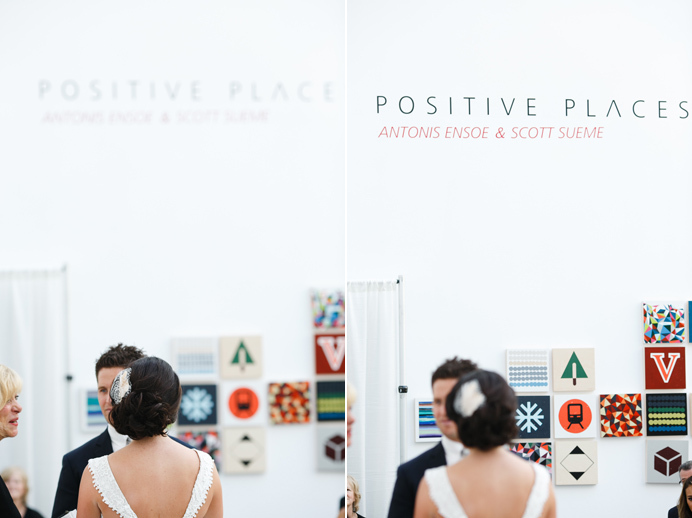 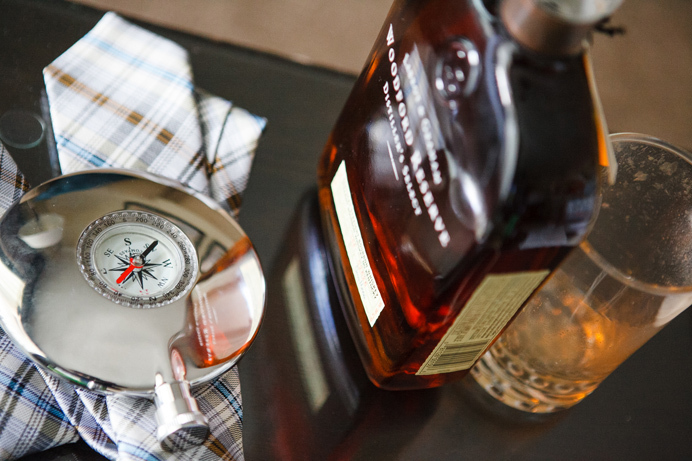 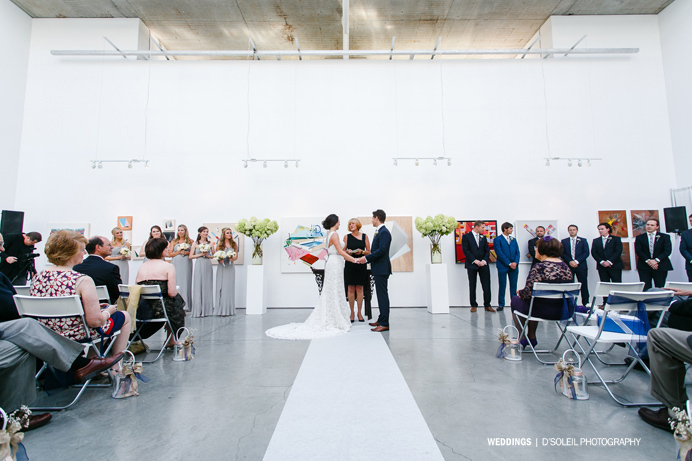 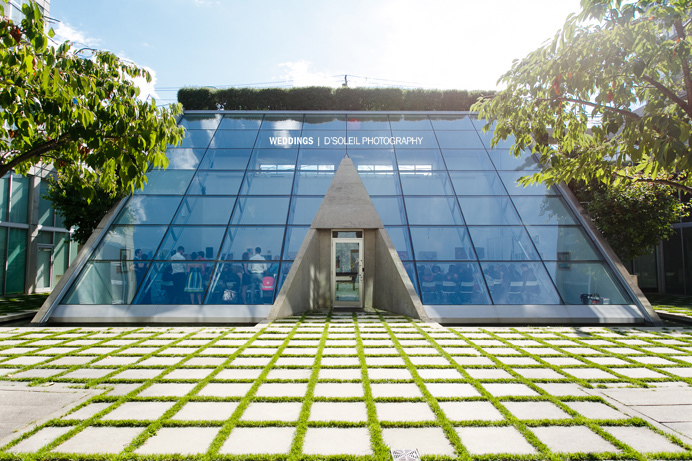 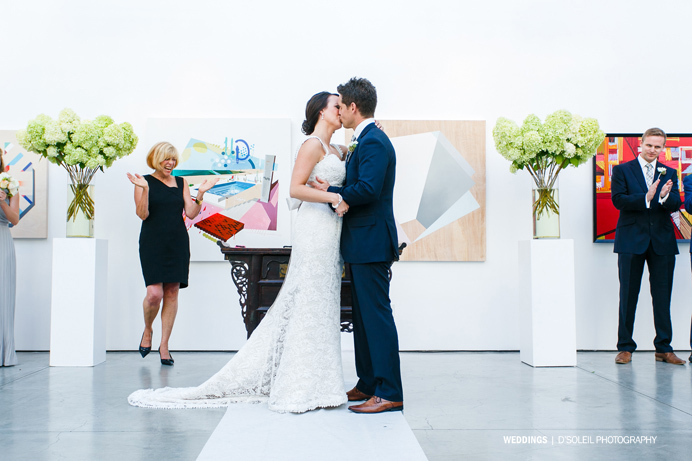 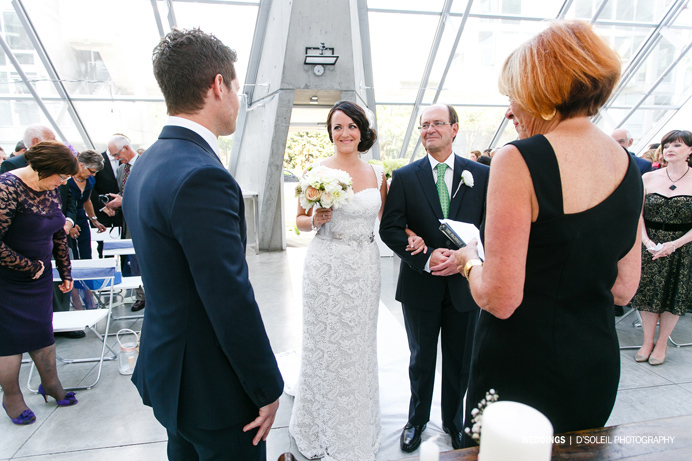 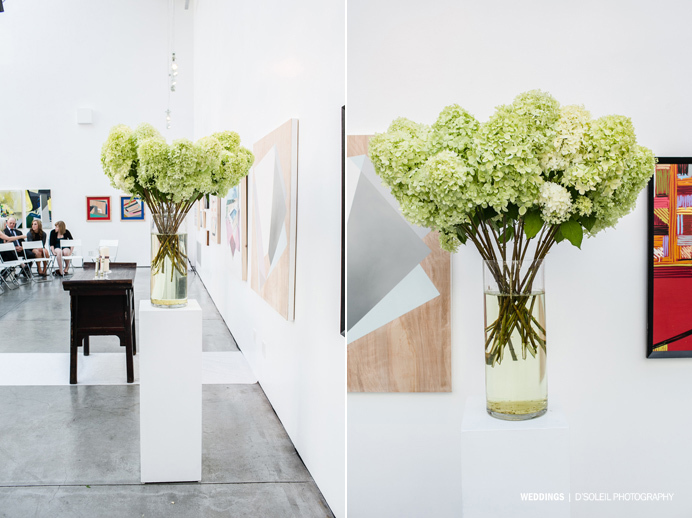 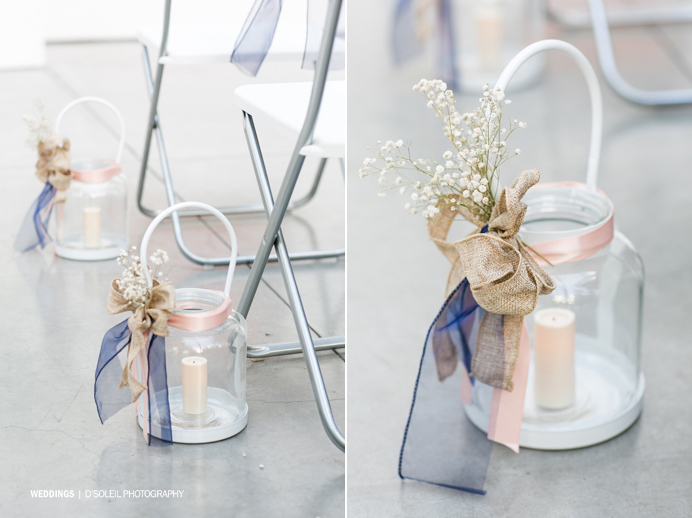 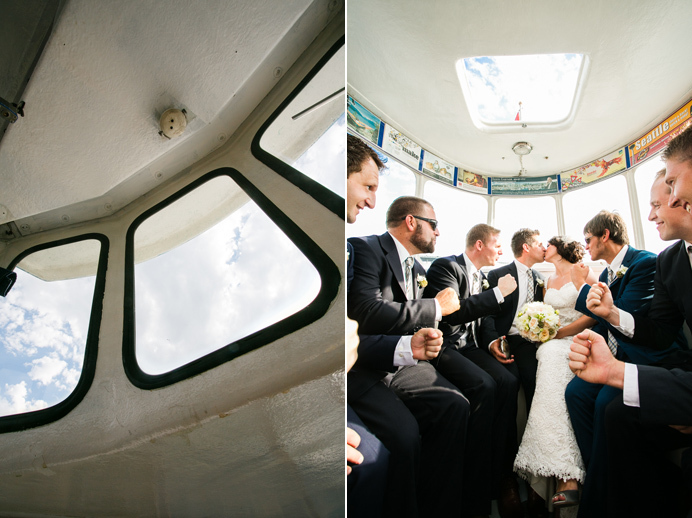 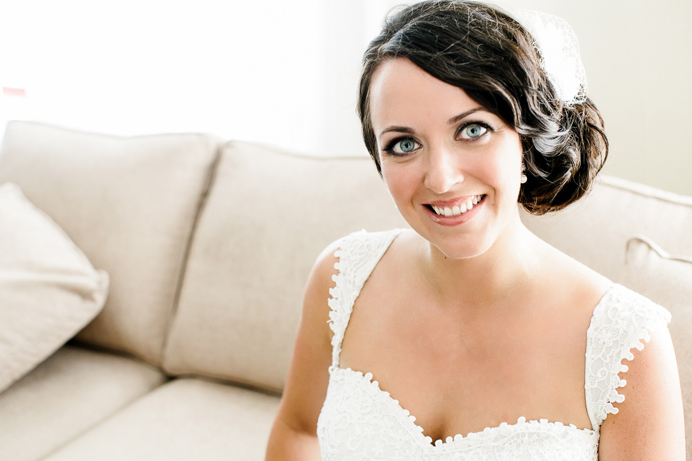 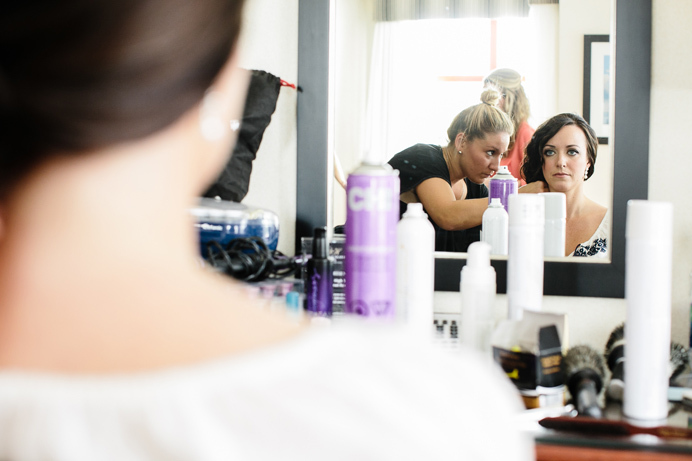 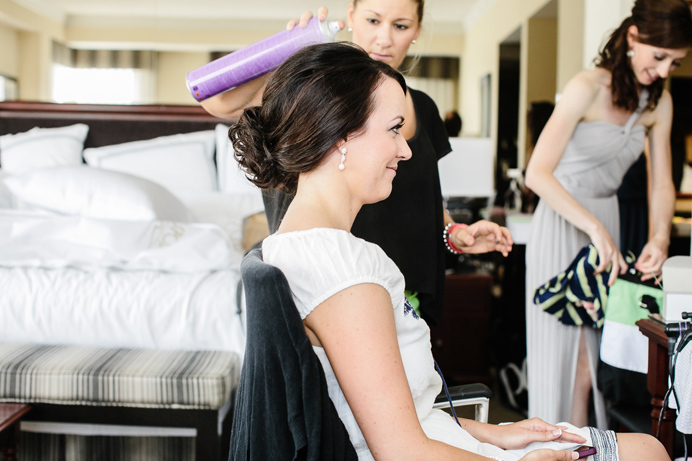 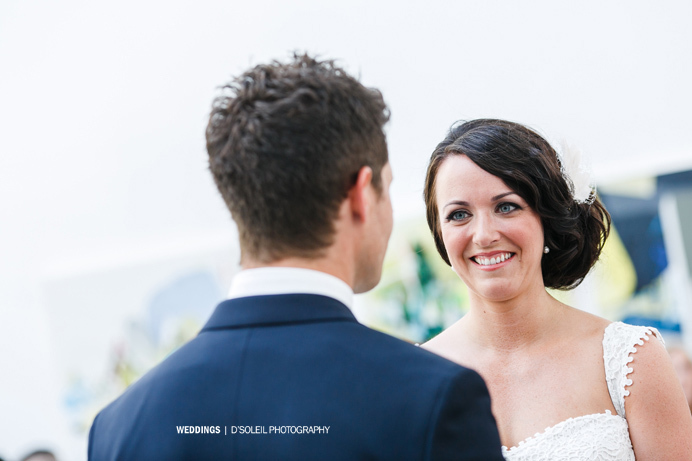 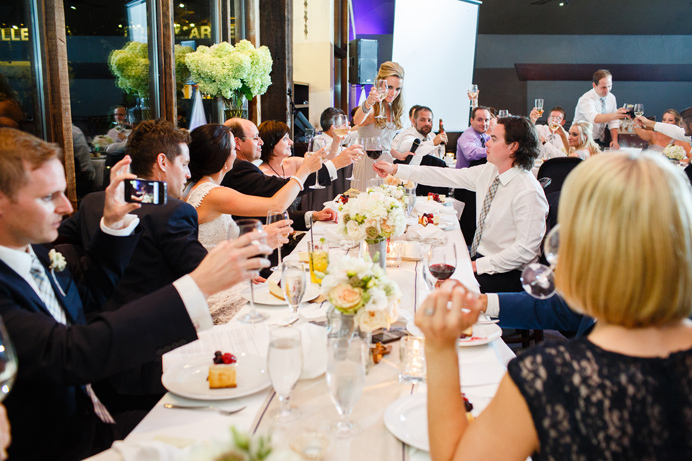 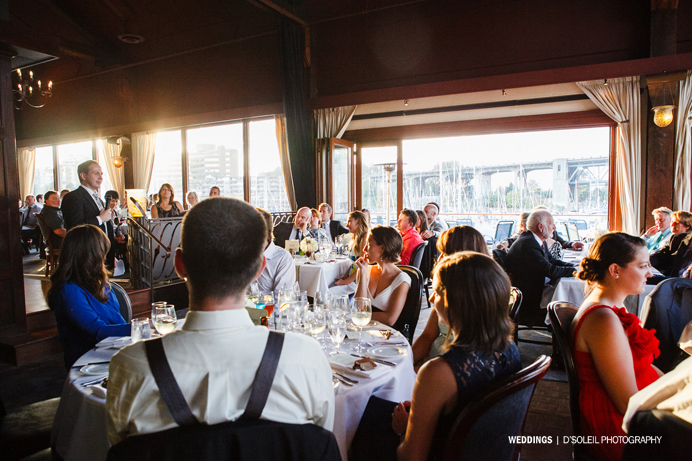 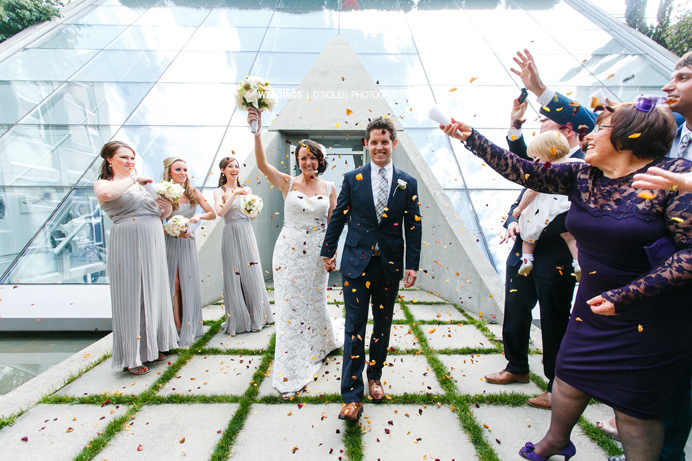 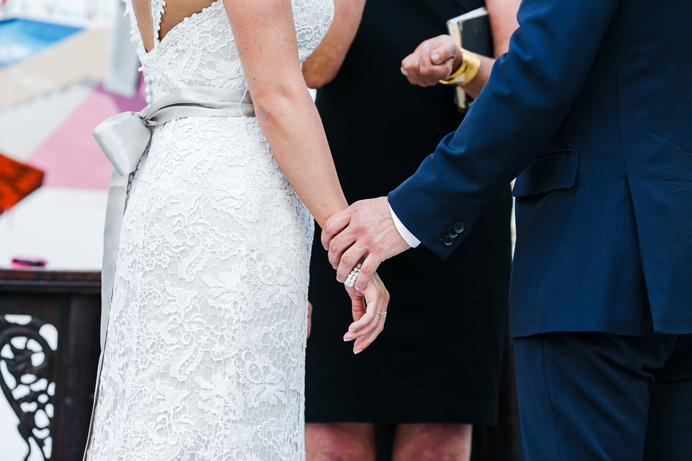 Thank you Daniel and Alexa for sharing these on your blog and for capturing the day so well! 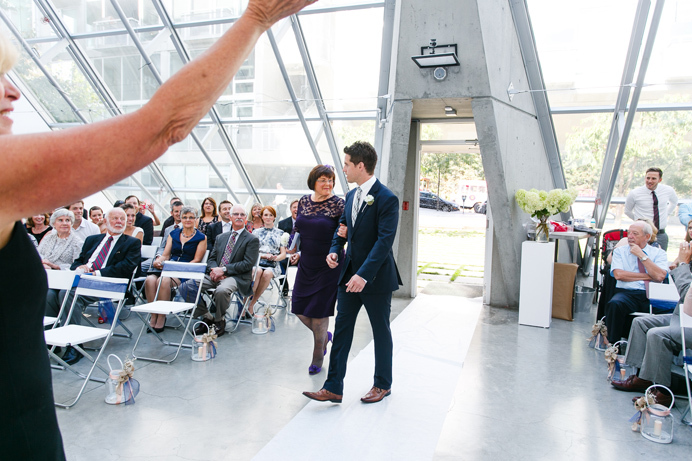 Great photos mate – you and those Ron Seal heels – can't stop the clippedy clip can you!!! 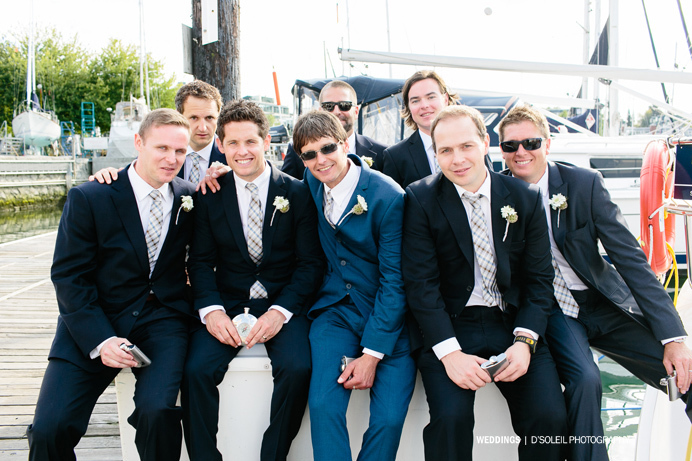 Epic day! 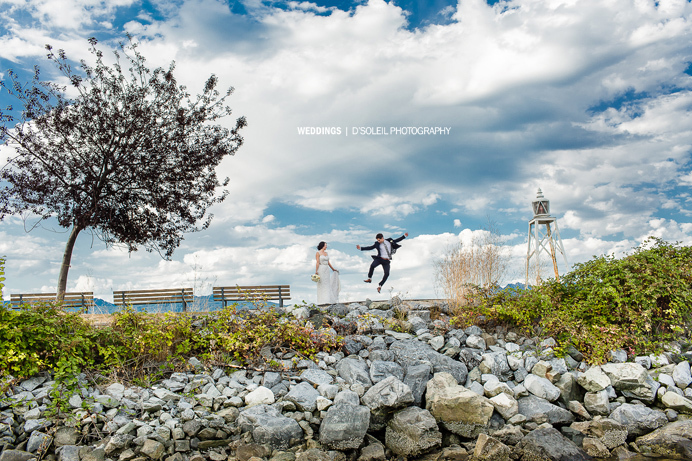 Hey Ciara looks like an amazing day! 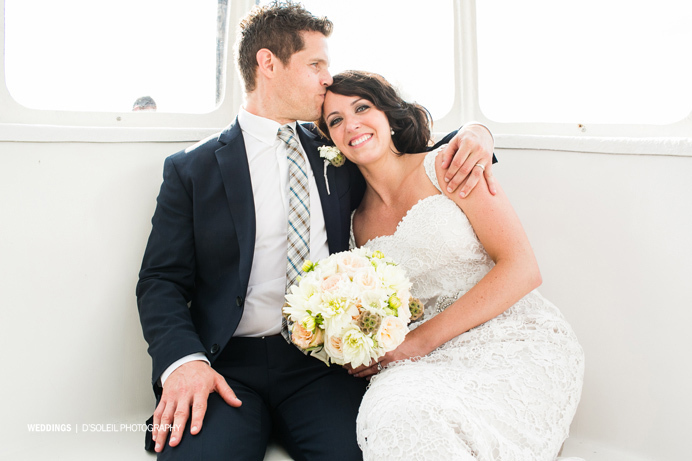 You looked beautiful and you guys look so happy! 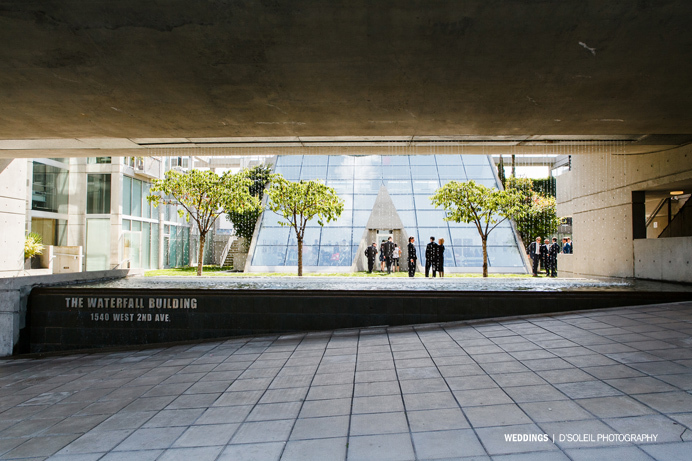 Reaaly like the main article photo and location shots. 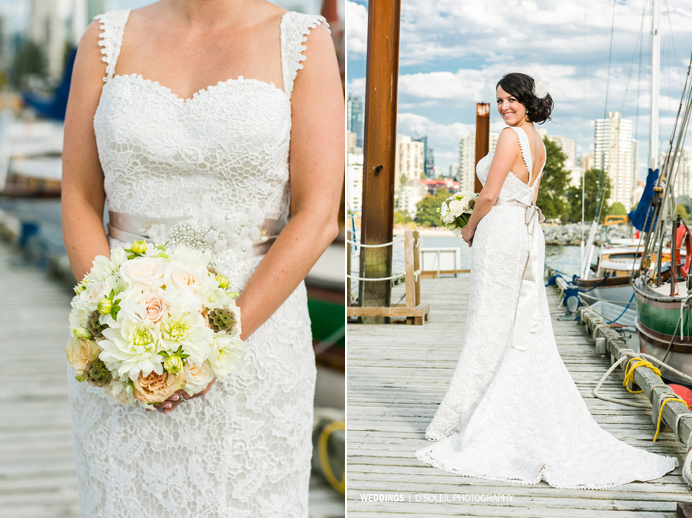 Can’t believe it has been a year already! 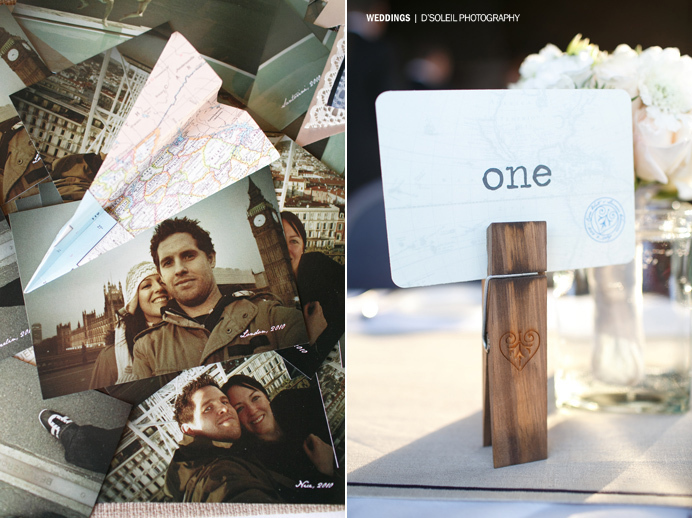 Fun looking at all the photos again!